Anastassova, L. (2007). Marketing Heritage Tourism in Less Developed Countries: Problems and Challenges. 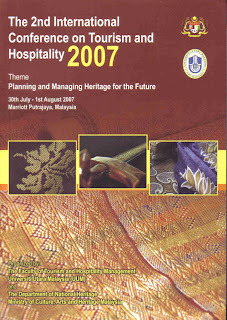 Proceedings of the 2nd International Conference on Tourism and Hospitality: Planning and Managing Heritage for the Future, 30th July 2007, Marriot, Putrajaya. Pp. 1-9.